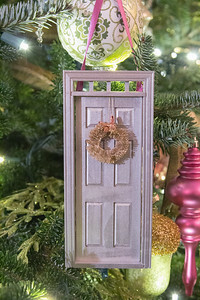 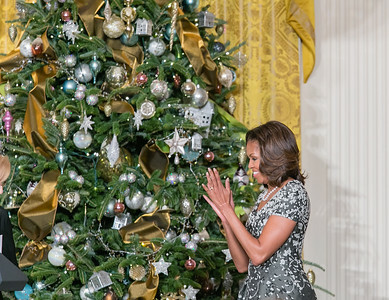 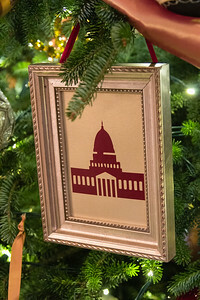 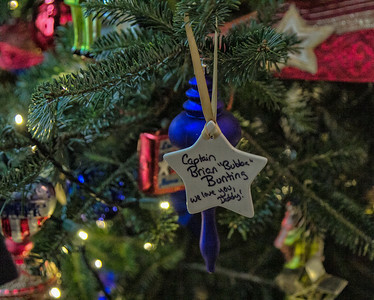 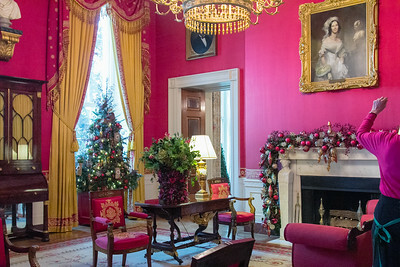 For years, the Red Room has been home to the traditional White House cranberry tree. 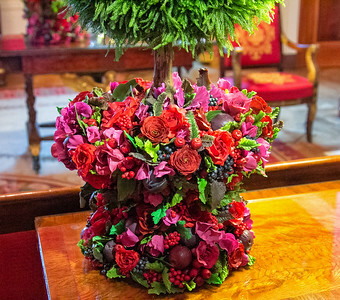 In keeping with this custom, a crimson and plum-colored flower and fruit vase—hand-made entirely of sugar paste—contains a one-of-a-kind arrangement of scarlet and fuchsia flowers and berries. 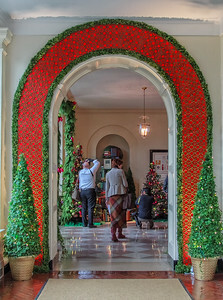 The Red Room also features round stained glass wreaths hanging in the window bays above two 8 foot Christmas trees. 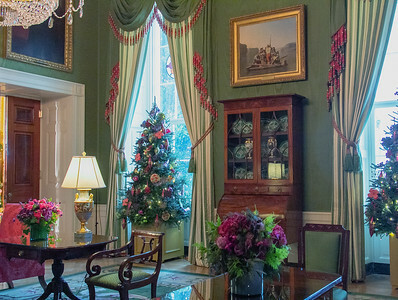 Burlap cones filled with fresh greens and red berry accents decorate the Christmas trees, and gold painted nutcrackers accent the side tables of the room. 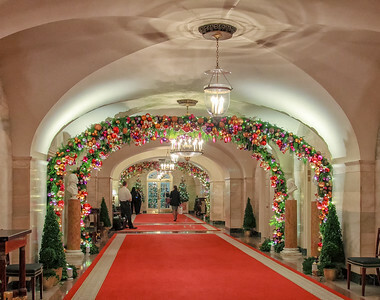 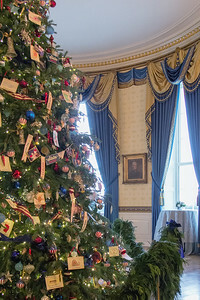 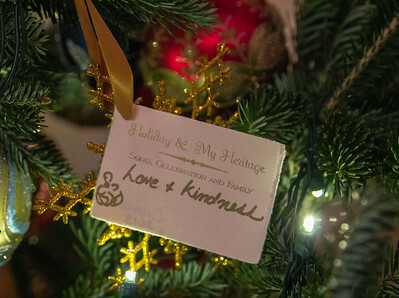 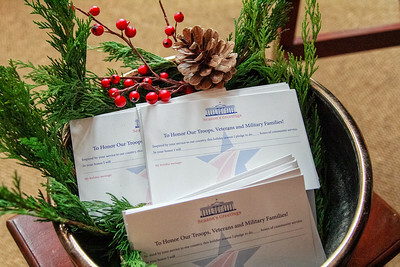 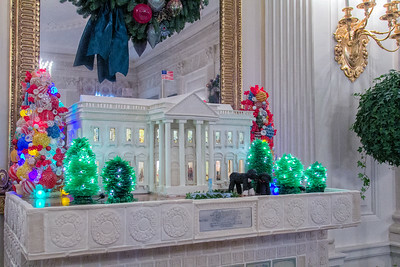 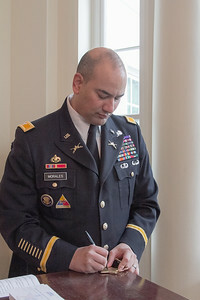 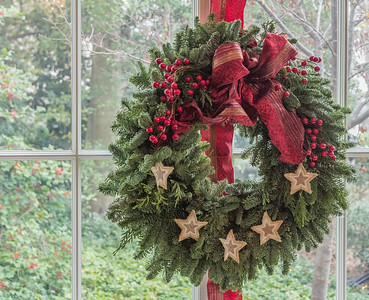 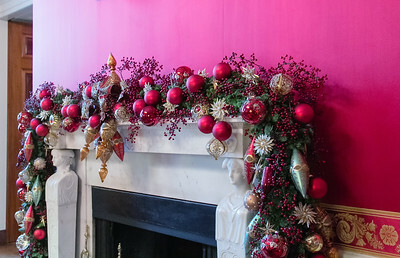 Holiday decorations adorn the fire place in the Red Room of the White House in 2013. 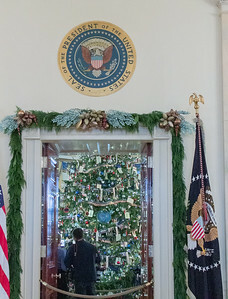 A peek into the Blue Room, where the Official White House Tree stands at 18.5 foot tall. 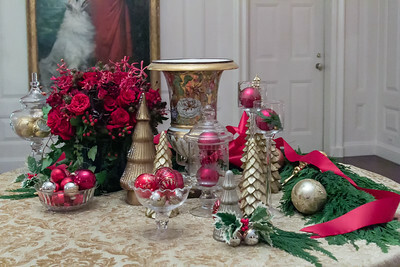 The table in China Room has glass votives etched with this year's theme, "Gather Around"